Fill your days with fun activities while on summer vacation, including kayak and canoe camp, mermaid school, beer classes and kids' cooking camp. The summer camp experience can lead to some of the most-cherished memories. From making new friends to learning a new skill, spending time at a summer camp or school will enrich the kids’ vacation in North Carolina. These aren’t the send-the-kids-away-to-camp offerings, but are experiences that will fill their days with exciting activities while you all are on a family trip. And grownups, don’t worry – you’ll find several summer schools and camps for adults across our state, in addition to fun kids-only camps that allow parents to enjoy some time for themselves. Don’t wait to book. These activities are popular among locals, too, and many will sell out. Aquarium summer camps are a great way to nurture children’s love of the water and educate them about this delicate ecosystem. The camps at the North Carolina Aquarium provide specific themes for various age levels, fostering skills such as storytelling, investigation, habitat exploration, animal care, conservation and even an understanding of careers in marine science for older teens. Dates: Camps run Monday through Friday, 8:30 a.m. - 3 p.m., during select weeks in June, July and August. Wannabe surfers of all ages can learn how to ride the waves at Tony Silvagni’s surf camp. The camps run in three daily sessions (morning, afternoon, evening), and there’s never more than a two-to-one student-to-teacher ratio. All students receive a surfboard to use for the lessons, a water safety and surfing etiquette guide, Tony Silvagni Surf School swag including a tote bag and water bottle, a meal voucher to Hang Ten Grill, and a certificate of achievement. Dates: Three daily sessions offered Monday through Friday, June through September. Plan a family trip to Johnston County, where small towns pack big outdoor adventures and charming retreats. Book the Sip & Stay Package, and get a discount on rooms at nine participating hotels while also receiving an itinerary for great places for the grownups to eat (Clayton Steakhouse), drink (Broadslab Distillery) and sightsee (Ava Gardner Museum). Broadslab might inspire you to hit all five stops on the JoCo Beer, Wine and Shine Trail. Your kids will be occupied and entertained at Howell Woods Environmental Learning Center, which offers a summer day camp and overnight camp, plus it’s open year-round. Activities include a ropes course, kayaking lessons, fishing and geocaching – using GPS to search for treasures. Also, plan outdoor fun for the family at the many greenways and trails throughout the county and the iconic Neuse River. 4 Overnight Camps with The Haw River Canoe & Kayak Co. 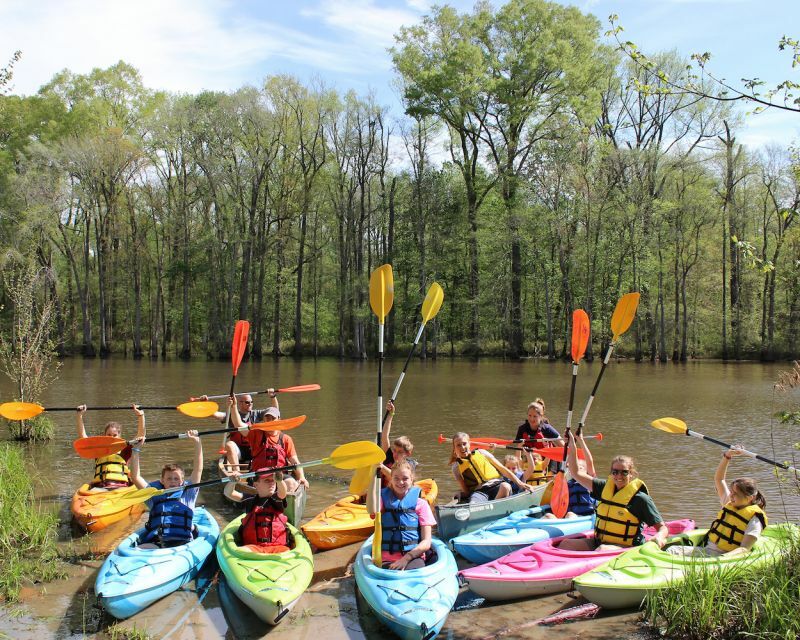 The Haw River Canoe & Kayak Co. offers a variety of guided, multiday kayaking or canoeing trips along the Haw River, Black River, Roanoke River Swamps and Spirit Island. The trips are great for paddlers of all skill levels and include boating equipment, personal flotation devices, shuttle service, at least one experienced guide and most meals, but do not include camping equipment. Campers can expect to paddle or float an average of 10 miles a day on a weekend trip. Dates: Visit the website or call for schedule and availability of these trips. Learn how to master different mermaid swimming techniques while wearing a beautifully decorated mermaid tail. Both children and adults can perfect their dolphin kick and learn how to glide gracefully through the water; then play competitive games with their fellow classmates during the one-hour session. 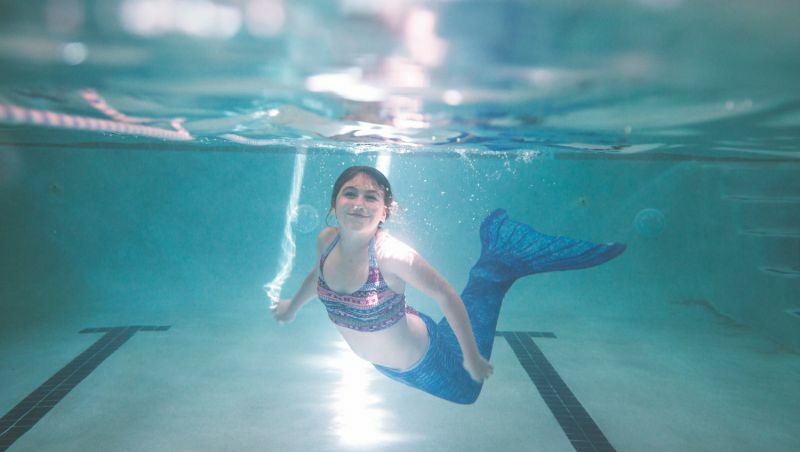 Children must be age 7 or older to participate, and all students must be able to pass a mermaid swimming skills test prior to the start of the class. Dates: Classes take place during the week in summer months; check Kitty Hawk Kites' website for availability. With more than 40 years of experience in all things whitewater kayaking and canoeing, Nantahala Outdoor Center is an ideal place to learn or strengthen your skills in whitewater paddling. The Introduction to Whitewater Kayaking Course covers all the basics on the calm Fontana Lake, then puts your skills to the test on a whitewater river. Experienced paddlers can try the weekend or weekday, multiday courses to solidify techniques. Dates: Courses run through October on weekdays and weekends; check NOC's website for specific class dates. CTS Brevard hosts 2-day/1-night mountain biking camps for beginner bikers and advanced riders. There are three levels, and level one focuses on foundational skills like body position, operation of controls, braking drills and how to tackle obstacles you may encounter on a trail. Mornings are spent mastering skills while the afternoon is a review ride to put your new skills into practice. Accommodations and meals are not included, but you’ll find recommended places to stay on the camp’s website. Dates: Level 1: June 9-10 and July 14-15; level 2: June 23-24 and July 28-29; level 3: June 16-17 and July 21-22. Flour Power Kids Cooking Studio hosts 5-day camps for tiny chefs (ages 5-8) and tween chefs (ages 9-12) that include all snacks, lunches, supplies and materials needed for the week. Kids can learn a variety of skills in the kitchen such as whisking, chopping and ingredient measuring, and enjoy classes themed from some of their favorite movies, international destinations and holidays. Dates: Classes are held Monday to Friday through August. Take your love of barbecue to the next level. The North Carolina Barbecue Society arranges for you to learn the essential skills of how to cook whole hogs Eastern North Carolina-style, pork shoulders and butts Western North Carolina-style, and chicken, pork ribs, beef brisket and more from the state’s premier pit masters. You’ll receive additional instruction on how to judge barbecue competitions, graduating from camp as a NCBS Certified BBQ Judge. Lodging is not included. Dates: The camp is held three times a year, each time in a different region of the state. The summer camp is July 20-21 at Sugar Mountain Resort, followed by the fall edition, Sept. 28-29, in Castle Hayne (near Wilmington). Spend an afternoon with your fellow 21-and-up classmates learning about the nuances of craft beer brewing. 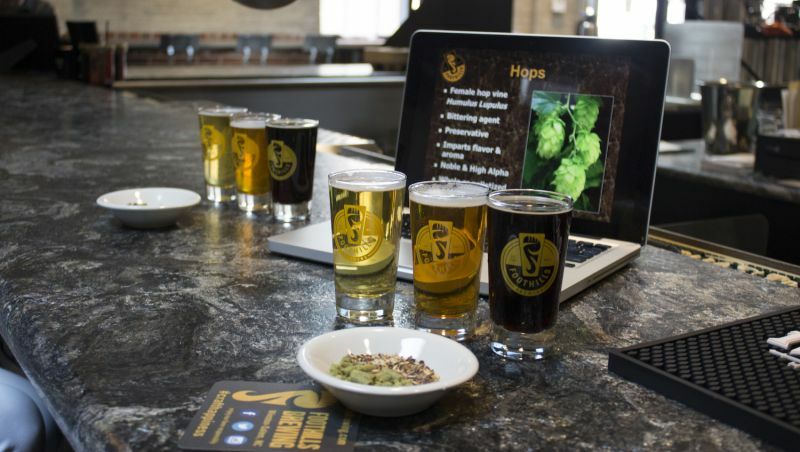 The classes at Foothills Brewing involve a tour of the brewery, a tasting of several of their craft beer brands including the Hoppyum IPA, People’s Porter and Torch Pilsner, and lessons on the ingredients. Advanced registration is required. Dates: The first Saturday of every month, 2:30-4:30 p.m. 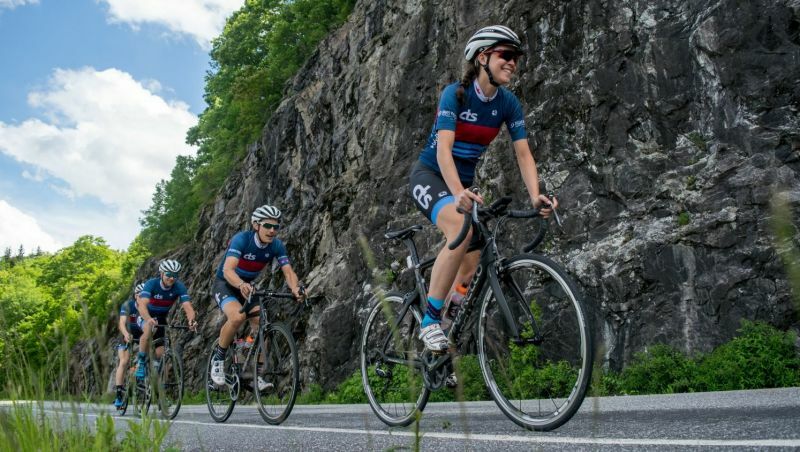 While the Museum of Life + Science is usually a hotbed of activity for kids, this summer outing is strictly for the grownups. Adults (ages 21 and up) are invited to relive the joys of childhood summer camp for one evening by making friendship bracelets, hitting targets in archery practice, climbing wall races, making s’mores, playing in the treehouses at Hideaway Woods and riding the Ellerbe Creek Railway old-time train. Plus, you get to sample beer and wine and food truck fare.